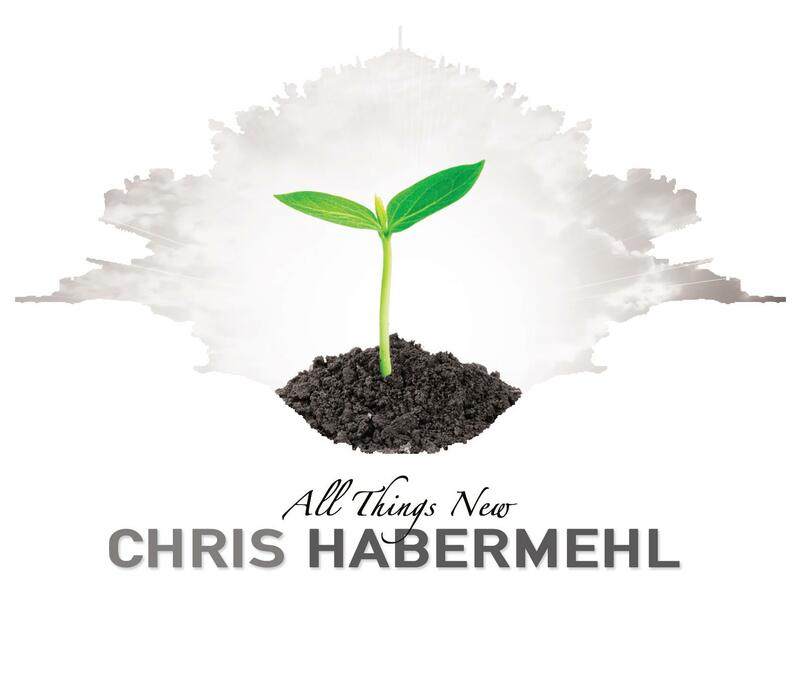 Chris Habermehl is a worship leader and artist who serves as full-time worship pastor at Skyline Church. God has cultivated a desire in his heart to help lead and connect others to Christ through the gift of music. Chris has a burning passion and desire to lead people into the presence and the heart of God through Christ centered worship. He believes that while music is definitely a form of praise, the true heart of worship is a lifestyle expressed through love and compassion. Chris Habermehl is a humble person with a heart of gold. He loves God, and he loves people. He is the worship pastor at Skyline Church in O’Fallon, IL. His newly released CD entitled “All Things New” has many songs that will connect you with the heart of worship. Have you picked up a copy yet? You can order through his website. It’s also available for download at iTunes or Amazon. One song in particular, “All Things New” is beautiful, and holds great meaning to me. There is so much hope in the music and message contained in this song. This song is comprised of some beautiful instrumentals and vocals alike. God has blessed Chris with talent like no other. His heart and love for God and loving people enough to create music that connects them with God points back to his character. He is someone I am honored to call friend. This is a song that reached out and touched me – right where I was. The lyrics are my hearts cry to our God larger than life. All of it. It’s pertinent in every way to me. “My heart is overwhelmed.” I often feel this way. I cannot imagine His amazing love. God has such crazy, unrelenting love for each of us. It can honestly feel overwhelming. Even when I don’t feel worthy, His love is redeeming. That’s the thing. I’m NOT worthy, but through Him, I’m precious. And, you are too. As I mentioned previously, I was recently (January 6th) baptized, and this song just speaks volumes to me – especially in light of and in the timing of that. It speaks of being in despair and how God reaches deep within, lifting up my head, not letting go — and then being made whole. God takes each and every one of us from whatever place we come to Him and turns us into new creations — beautiful in His eyes. He lifts us up, and never lets us go. He makes us clean – all dirt washed away. He loves us that much. He, and He alone can make all things new. This song so sweetly captures the heart of God and His love for us. That love is life changing. He makes all things new. Thank you, Chris, for allowing God’s heart to flow through your music. This CD will touch the heart of many people. Last night was a phenomenal CD release concert from Chris Habermehl – Skyline Church’s worship pastor. He leads Skyline in worship Sunday mornings. In time, I will be doing separate posts about the songs on Chris’s new CD. Please know I speak the truth when I mention what an amazing heart Chris has – for God and for people. What a blessing it is to be able to hear his heart through music on such a regular basis as well. I know God will use the music from Chris’s new CD to touch and share His love in the lives of countless people. I’d like to personally say thank you to Chris for following after the heart of God with the passion that you do. It is an honor to call you and your beautiful family my friends and to do life together with you guys. Thank you for making this concert possible, and for sharing the talents God has given you. You are very much a blessing.